The video for Star’s ninth track, “Feed the Tree,” was selected for a coveted spot in MTV’s Buzz Bin, a placement that guaranteed it plenty of airtime during a period when the channel was reaching over 50 million homes. “When a video is chosen for Buzz Bin, the full weight of the MTV cable network is thrown behind it,” wrote Robert Woletz in a 1992 New York Times article on the sales boost often generated by inclusion in the Buzz Bin. “A Buzz Bin video is typically shown three times a day, seven days a week for an average of eight weeks -just a notch below the exposure a Guns ‘n’ Roses video would get in what is called ‘heavy’ rotation on MTV.” “Feed the Tree” held the No. 1 spot on Billboard’s Alternative Rock Singles chart for three weeks in March of 1993, and placed on Billboard‘s Hot 100 Singles chart in America and the Top 40 in England. Two more songs, “Slow Dog” and “Gepetto,” also charted in Billboard’s Alternative Top 20 and Top 10, respectively. “I was such a neophyte, because I came from the DIY punk rock scene, that I didn’t know that record companies had people like publicity or marketing or artist relations,” says Greenwood. “I didn’t know what their role was or what their job was, but we’d start seeing press people coming to certain gigs. I didn’t know people’s titles and I didn’t know what they meant and what they did, but I would start to see more and more of them. It was exciting, because someone was always buying me dinner. Now you know it’s coming out of your advance, but I didn’t know anything then.” The band received Grammy nominations for Best New Artist and Best Alternative Album, which they lost, in order, to Toni Braxton and U2’s Zooropa. 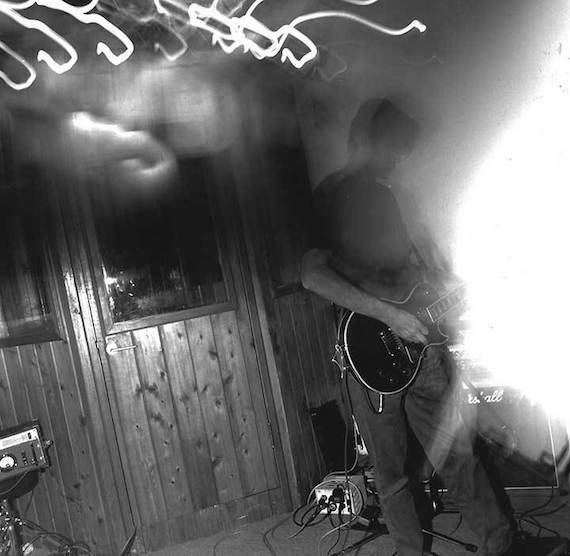 What had begun as an idea solidified over drinks in a Newport bar was now, barely two years out, a band with a gold record, a major-label record deal, and big expectations for continued commercial success. “I think we were all sort of thrown into the deep end,” says Donelly. The final album, released on February 14, 1995, was slinky and loose in a way that records from Belly’s gruffer, leaden contemporaries were not. It rocked harder and more directly than Star, at times slipping into near-giddiness. And where Star dealt with the hauntings and fears of adolescence, King concerned itself with the doubts, worries, and pleasures that can come with a grown-up life. An album recorded in the standard two guitars, bass, and drums set-up, by the producer most responsible for the sound of classic rock, King was a completely modern, rock record that stripped away the hedonism, worn-down metaphors, and widely accepted aggression and sexism commonplace in rock music, and wondered instead about things like commitment, sacrifice, and spirituality; stuff for which few bands of the time could muster much enthusiasm. In a December 1994 Billboard article, Reprise executive Geoffrey Weiss predicted platinum sales for King, “at least.” The ability of record labels to sell large numbers of CDs from the fleet of bands collected under the alternative rock umbrella had shown no signs of slowing down since Star’s success in 1993. Donelly’s former band, The Breeders, had sold a million copies of their 1994 album, Last Splash, and grunge flagships Alice in Chains (Jar of Flies), Soundgarden (Superunknown), Pearl Jam (Vs. and Vitalogy), and Nirvana (MTV Unplugged in New York) all released multi-platinum selling albums in late 1993 and 1994, as well. During 1994, acts as vaguely related as Sheryl Crow, Dinosaur Jr, Green Day, Mazzy Star, Collective Soul, Blur, The Offspring, Toad the Wet Sprocket, Smashing Pumpkins, Lisa Loeb, Live, The Pretenders, Crash Test Dummies, Tori Amos, R.E.M., Beck, Counting Crows, Hole, Stone Temple Pilots, and Weezer all had singles in Billboard’s Alternative Top 5, and almost all had accompanying albums that sold in the millions. Donelly has released four full-length solo EPs since the break-up of Belly, and the band released a Greatest Hits compilation in 2002. A collection of new recordings from Donelly’s Swan Song Series is due in May, including songs written with Greenwood and Tom Gorman. She has joined both the Breeders and Throwing Muses on-stage in recent years, but Belly had resisted a reunion until earlier this month, when they announced plans for new recordings and shows in the summer and fall. 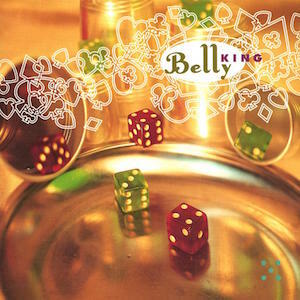 And twenty-one years after its release, King, Belly’s second and final studio album, has largely held onto its undeserved reputation as the commercial misstep that tore them apart. Musically, however, it remains a jewel-encrusted stunner. I first heard Belly on the alternative radio station in Hawai’i (97.5, at the time named “The Edge”). They were playing “Now They’ll Sleep” and promoting a show at The After Dark (aka “the Groove”, “Nimitz Hall”, and others). I won a call-in contest to go see that show, and it would be my second concert. With the tickets to the show, i also got a copy of the album. I was 15 i think. And to this day 21-22 years later, King is one of a very very very small number of albums i have on hand to listen to in the car, on my computer, or wherever i happen to be. The album is easily in my top 10, and through Belly and King, I ended up discovering a lot of other music, primarily Throwing Muses. If you don’t have this album, give it a listen. Judas My Heart is among my favorite pieces of lyrical storytelling, Now They’ll Sleep’s guitar intro is mesmerizing. Silverfish gives me chills. The album doesn’t have a “skip worthy” song in it at all. I own Star as well, and to be quite honest, Star almost never gets play time whereas King gets played anywhere from once every 6 months down to back to back full playthroughs on repeat for weeks on end. This isn’t to diminish Star so much as it is a testament to how good King really is, particularly without much in the way of “commercial” success. Great piece. Thanks for writing this. It is great to finally read the story behind this great and extremely underrated album. It is constantly in my rotation as well. Perfect album. I saw on this tour in Boston with the Catherine Wheel at a place called Avalon.Brilliant show. Now I am on a quest to find a copy on vinyl. such a well written piece Jon, a pleasure to reminisce about this album. I saw Belly at a club in Boston after “Star” was released. The opening band was Radiohead: I’m not kidding, and they did indeed rock harder than Radiohead. It was/is one of the great concerts I’ve attended. It strikes me that people don’t know how vital, exuberant, and energetic this band was live. Gail Greenwood’s ability to play so well while jumping and skipping all over the stage was unbelievable, and Tanya Donnelly looked like she was having so much fun. I remember that she had this impish way of stepping side to side and kicking her heel up behind her leg in time to the music. She was animated and engaged. This band was a tight muscular unit on stage, and Tanya’s voice was in fine form. Her guitar playing has always been underrated, IMO- people forget about all her great guitar work from Throwing Muses where she was essentially the lead guitarist. Tip: if you don’t have a copy of Thowing Muses’ “The Real Ramona” your missing out on one of the great albums of guitar rock of the early ’90’s. The encore number that night was Tanya joined onstage by Thom Yorke for an excellent rendition of “Untogether”. Amazing. Caught Belly on the UK leg of the King tour. They were fantastic and full of energy on stage. Pretty sad to think that behind the scenes it was very different. Excited to hear these songs 21 years on. King is an album that I still listen to quite often. One of my favorites. King is alright, but Star is fantastic! The songs on King strike me as solid but bland whereas even Star’s unfinished ideas are semi magical. I do believe there’s something to Donnelly writing most or all of the songs, unfortunately. Anyway, I’m looking forward to seeing them in August 2016. Great article! Growing up in New Jersey I first discovered Belly in early ’93 when my high school friend told me about the Feed the Tree video on MTV. We were hooked! We each bought the cassette (my favorite song is Full Moon, Empty Heart), and I picked up the King cassette in the summer of 1995. To this day the King album reminds me of summers, beaches, good friends and great, great music. I was never a fan of the slower tracks, like Untitled and Unsung, and Judas My Heart (I always skip that one), but Seal My Fate, Red, King and Now They’ll Sleep are perfect. My friend and I saw Belly at the Academy in NYC on October 1995, and it was one of the greatest, most energetic shows I’ve ever seen to this day. Catherine Wheel and a then unknown Jewel opened the show, but Belly dominated the evening. Tanya was doing her happy dance and Gail was bouncing around the stage like a metal goddess (rock on!). I was so sad when I heard they broke up. I graduated high school in 1995 and enlisted in the military, and it seemed like the end of an era. I picked up Tanya’s solo album in 1997, but I always craved more Belly. The 2002 greatest hits CD was a wonderful treat and I emailed my old high school buddy from overseas to tell him to get it! Fast forward 14 years later (I live in Las Vegas now) and I last week I got a text from my old high school buddy back in New Jersey about Belly’s reunion shows. I can’t fly back to see the NYC show unfortunately, but I just bought tickets to LA show on August 25th. And this was a perfect article to get me back into the Belly listening mood. Can’t wait! Wow. And all this time I thought it was me! I absolutely love King. One might see me driving, windows down singing every word. I have for years extolled the greatness of this record to no response. It’s pop masterpiece. I hadn’t realized it was recorded live, but that makes total sense. And although it sounds like the band members had personal issues with each other they knew how to at least play in the studio. It’s tight, concise and hooky as hell with lots of surprises. Lyrics to ponder a lifetime. I love the lady who walks on her hands. Wonderful, wonderful album. Thanks. I thought it was just me.